On the 2nd and 3rd of November, Dar Qalb ta’ Ġesù in Santa Venera will host Island Lights — a contemporary Japanese-themed weekend by Valletta 2018. This exhibition’s primary focus is Japanese culture, technology, or contemporary and modern art, where light and dark take centre stage. The exhibition revolves around the role of light in Japan’s cultural identity and the lives of its people. It features several foreign and local artists whose work spans across various formats and media, culminating in an exciting and interactive experience. The varied styles of GROUNDRIDDIM’s artists Aoi Yamaguchi, Yang02, Akiko Nakayama and QUE, as well as local talent I+A and Jean-Luc Portelli, make up the eclectic mix of exhibited installations. 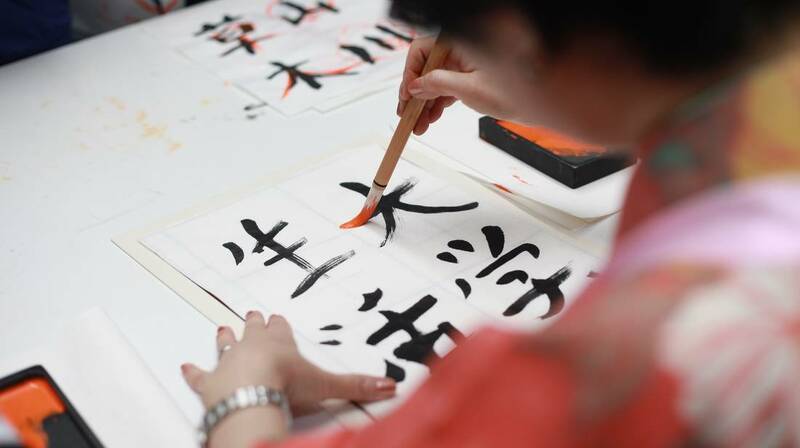 Calligraphy master Aoi Yamaguchi will be giving a live painting performance that invites viewers to experience the interplay between light and darkness. In addition, live performances and workshops organized by Nobuaki Tomita and Rakugo Without Borders will be taking place over the two days of the event. These include a lecture and demonstration by Kimono stylist and designer Nobuaki Tomita, a Rakugo session by Master Sentatsu (Rakugo is a minimalist, traditional Japanese style of storytelling), and a workshop with renowned Japanese poet and lyricist Wakako Kaku (author of Studio Ghibli’s title song ‘Spirited Away’). The aim of Island Lights is to highlight similar or contrasting aspects within both Maltese and Japanese cultural experiences, given that both countries, although distant, are islands. Join in on the fun at this Japanese festival that celebrates the unique culture and identity of our island nations, as well as their similarities. Entrance is free, and free parking space is available. For more information about this event and a full schedule of activities, visit valletta2018.org and follow Valletta 2018 on Facebook. Island Lights is organised by Valletta 2018, with the creative input of Jean Luc Portelli and the support of EU-Japan Fest Japan Committee, the Embassy of Japan to Malta and the Malta-Japan Association.